Sports Premium funding was introduced to promote school sports across the country. For the second running we have successfully achieved the Bronze School Games Kite mark: 2015/2016 and 2016/2017. 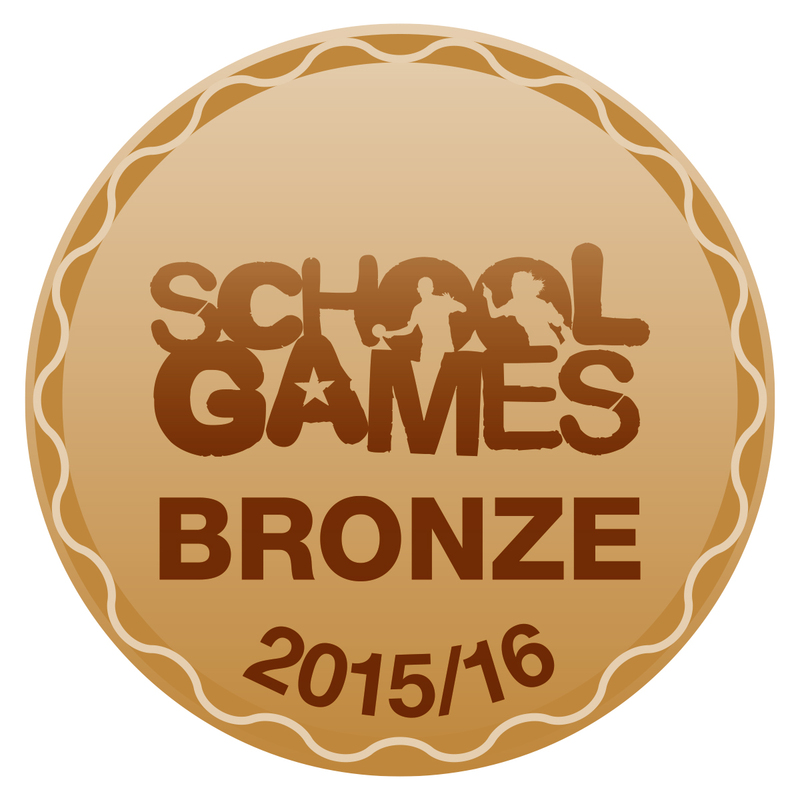 We have achieved this by taking part and hosting different level sporting competitions throughout the year. This year we have already participated in various competitions including Cross Country, KS2 Mini Olympics, KS1 Mini Olympics, KS2 Speed stacking and have events planned for the future. We are currently running a 'Gifted and Talented' PE programme every Friday morning. These sessions are for years one and two, then three and four and years five and six. These small groups of approximately 10 pupils will be developing their tennis skills over the next coming months. The groups will be practising the following skills: catching, throwing, striking and serving and concentrating on their general fitness and co-ordination. These sessions are very beneficial to the children as it gives them the opportunity to work in a small group and also with one to one tuition. Mr Hawkes, our sports coach from Premier Sport, will be choosing somebody each week who he feels has excelled in their PE lesson. We are provided lunch clubs run by Premier Sports every lunchtime, providing 45 minutes of additional PE each day. * Multi Sports constist of Fencing, ball skills, ball team games, archery etc. We are providing 5 clubs that run after school, 4 led by Premier Sport and 1 in house. This provides another 60 minutes of PE each day. We have been fortunate enough to be able to participate in some enrichment days for the children. These include Pudsey Bear day and a morning of fencing. We have 9 year 6 students who are our sports ambassors and are engaging in several duties within the school to help promote sports and healthy eating. They are currently engaging some KS1 children at lunchtimes with games on the playground. They are also organising our KS1 Speed stacking competition along with a Wear it Bright day, to try to raise some funds for some playground equipment. Upon leaving our year 6 corhort, 25% of them could swim 25 metres competently, use a range of strokes effectively and perform safe self rescue in different water based situations.